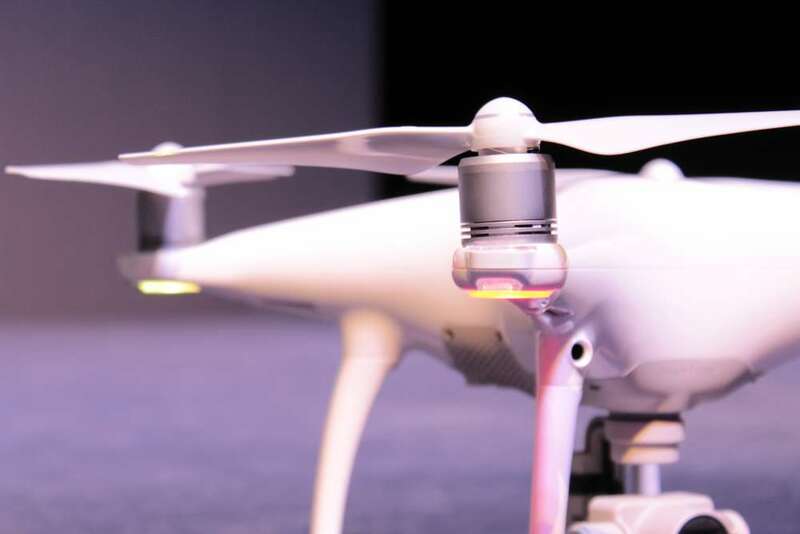 DJI, the go-to source for all your aerial media needs has long been the company to look to for whatever you need to capture spectacular pictures and video from aloft. However, their Phantom line had changed little, other than upgrades in the firmware and accessories since the first release. 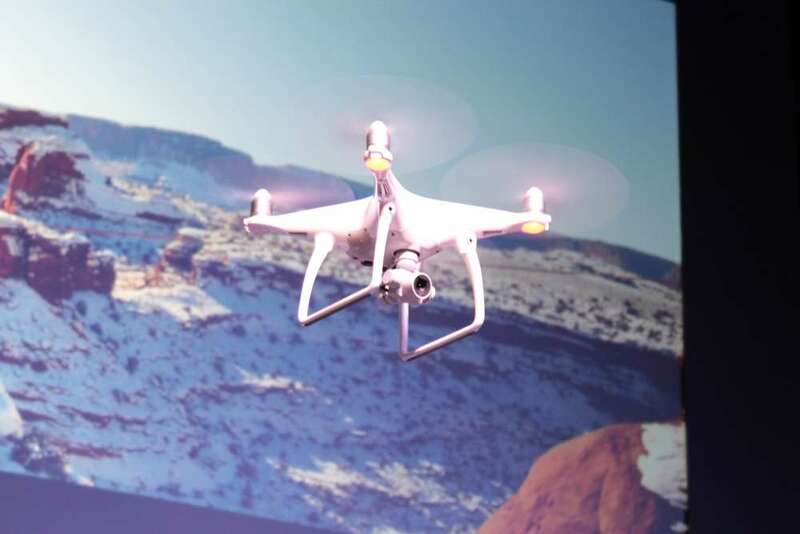 The good news is, we at Drones Mag were asked to attend their release party for a new model and while we all knew what it was going to be (thanks internet), we didn’t know exactly what this new machine would entail. Well, the P4 looks to change things by leaps an bounds and here’s just a little of what we were made privy to at their exclusive release party in Manhattan today. Top mounted motors that are not restrained, confined within the end of the arms. So, you can identify, isolate and track an object at up to 45 mph. You can shoot at 1080 up to 120 fps for super slo-mo edits in post. You can shoot spectacular 12MP stills. Better yet, you can do it all without worrying about ever hitting an obstacle, not matter where you’re flying. The dual sensors out front detect objects at up to 50 feet in distance and by the time the P4 is within 6 feet, it will intuitively make a decision to take the shortest route around said object, leaving you free to frame up the next shot. DJI even revised the 5.8GHz transceiver for the P4. Today at the release, Michael Perry (Director Of Strategic Partnerships for DJI) boasted that this revolutionary machine, born from hours of design, passion and hard work, would do the job of three people. Imagine a typical drone-supported video shoot. You’d have a pilot, a camera person and a spotter. Now, with the new P4 from DJI, you can do all that work yourself and still enjoy the flight. 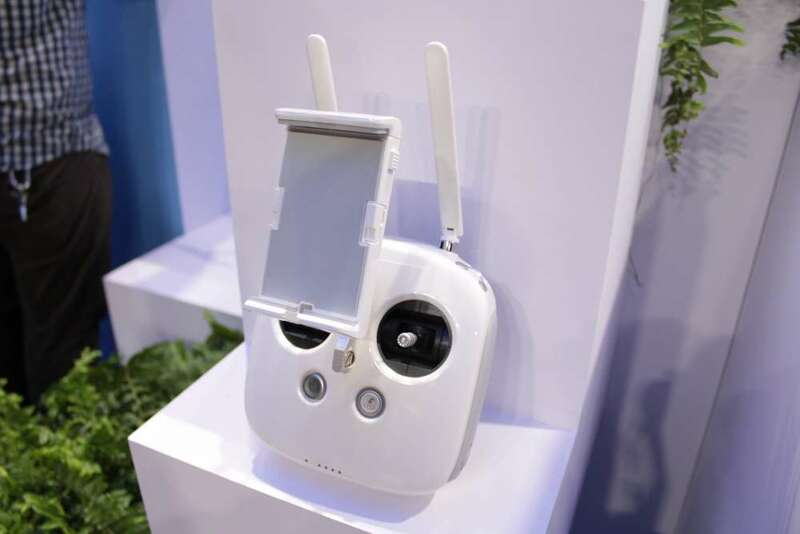 Available for pre-order now through DJI, limited retail release on March 15th, 2016 and globally on April 1st, 2016.